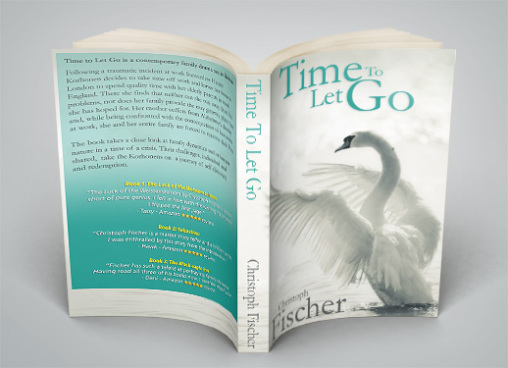 Today, I want to spotlight a very exciting new book release from fellow novelist and “dog-lover” Christoph Fischer. In a previous posting, I drew attention to his equally heartbreaking and empowering Three Nations Trilogy. These novels show the effects of war from both personal and nation-wide standpoints. His latest book, which was just released this month, is perhaps his most significant. Time to Let Go delves into issues of tolerance and perseverance through the eyes of a family in times of crisis. Early reviews have been impeccable and speak to his beautifully personal writing style. Great post re-blogged from original source unto me Tumblr blog. You really did treat such a delicate subject with so much respect ! Nice! I’m so glad that you book is getting the positive exposure it deserves. Hope sales are going well!